Rugby is a game best described as organized chaos. You can practice tons of different plays and make a plan, but in the heat of a game one variable can change everything and the plays and the plan go out the window. In rugby, you have to expect the unexpected, be able to adapt to new situations quickly and not be afraid of getting dirty. My life is very much like the game of rugby. Every day I wake up with a plan, but you never know what life will throw at you. Everything is subject to change so I am always thinking ahead. I expect the unexpected. I spent 13 exciting summers at summer camp where I learned how to do everything from canoeing to ceramics to archery. At camp, we spent 95% of our day outside. I would go from swimming in the pool to breaking a sweat in the sun playing field games and then venture out into the woods to roast marshmallows over a campfire. I’m used to constantly switching things up and having to immediately immerse myself in a new environment. Time is a precious commodity so I learned how to quickly adapt so that I could have fun and squeeze the most out of every day. I have a confession. 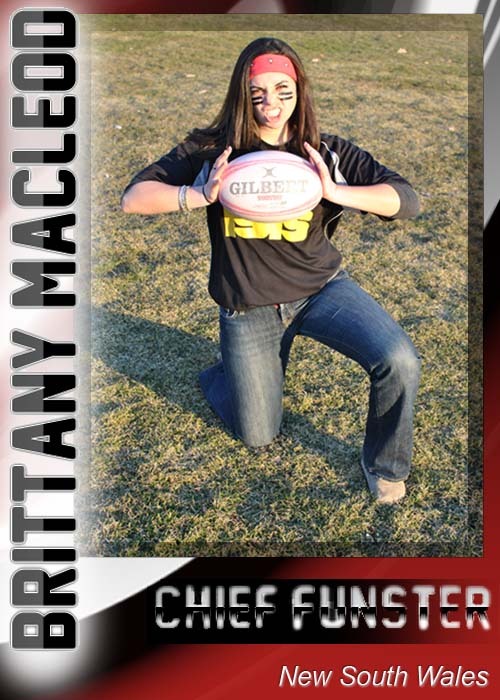 I don’t actually play rugby. BUT I did play four years of varsity ice hockey at my high school. Ice hockey is an intense sport that is fast, aggressive and full contact. To play successfully in ice hockey you can’t have fears. You have to be willing to do whatever it takes to have possession of the puck and score. I’m a competitive, “hands on” person who won’t let a little dirt stop me from doing something. I am confident that I would be the best person to be Chief Funster for Sydney because I expect the unexpected, am able to quickly adapt to new situations and I’m not afraid of getting my hands dirty. I’m always ready to play and squeeze the most out of every day so the ref would never have to tell me to “use it or lose it”. 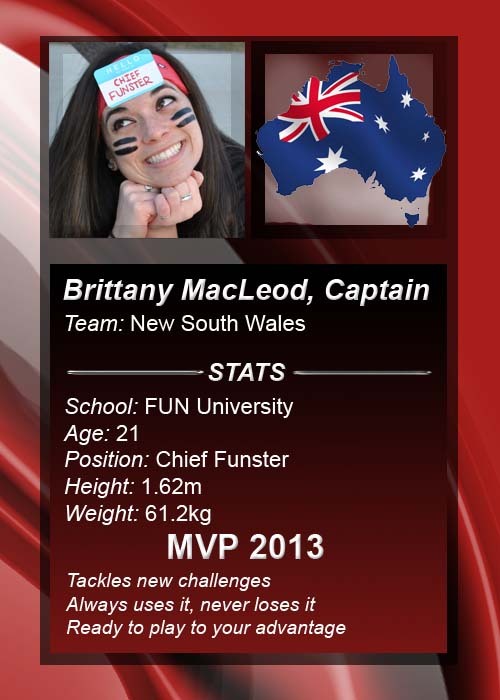 So pick me, BMAC, to tackle the challenge of becoming THE BEST Chief Funster for THE BEST JOB IN THE WORLD!